‘Season of mist and mellow fruitfulness’ was Keats’ description of England at harvest time. Substitute ‘mist’ for Hurricane Ophelia, which was actually passing when this photograph was taken on 16th October as we brought in the last of this year’s chardonnay, and you have an apt description of our own 2017 harvest. Due to a slow maturation, we left the fruit on the vines for longer than we have ever dared and were rewarded with sensational flavours and complexity. 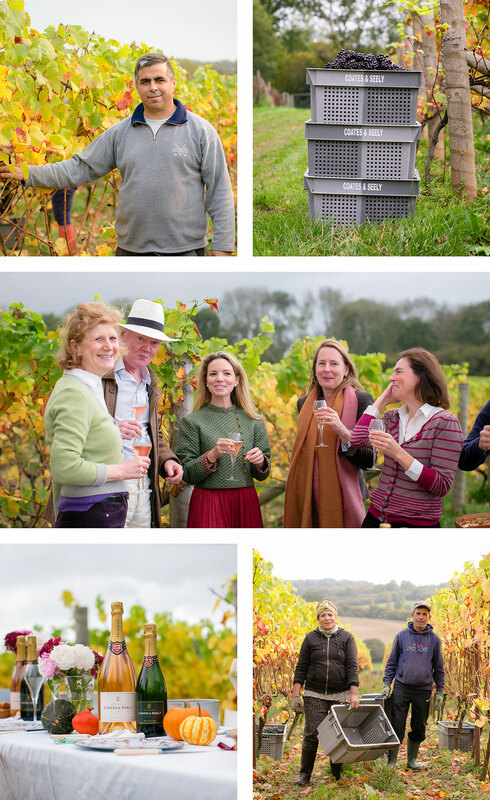 The 2017 vintage will be small but beautiful and you can follow it on our Instagram page in a series of stunning photographs taken by Lara Arnott.